These baby back pork ribs earn their keep thanks to the tangy dry rub and foil cooking method that results in meltingly tender meat. Grill or Broil with Maria's BBQ sauce and they will be finger licking good!! Served with a side of vegetables. 1. Baste the ribs with BBQ sauce (reserve extra sauce for dipping). 2. Ribs are already fully cooked. To warm, chargrill or broil ribs for 2-3 minutes per side, just long enough to heat and sear ribs. We are fussy about our BBQ sauce but this was spot on. The portions are large; I would hardly call them "baby back"! The ribs were excellent! Very tender. My husband even mentioned he doesn't have to cook ribs anymore because these were soooo good. Thank you Maria! This service makes meals so much easier. No worry about coming up with meal ideas and grocery shopping. Ribs were very good! Large portion. Loved that they were precooked. Just popped em in the oven to reheat. Delicious bbq sauce. We just finished the ribs. The ribs were "fall off the bone" tender. The sauce was delicious. My 85 y.o. mother raved. I would love to be able to order this weekly. Thanks Maria!! 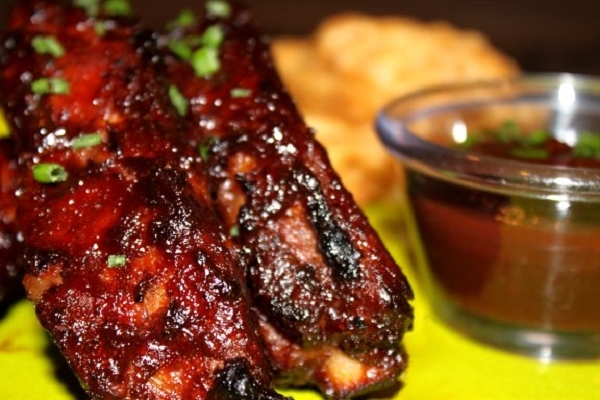 Amazing tender and flavorful ribs! Great value for the quality and flavor. BBQ sauce provided adds to the flavor and plenty of extras! So good and easy to prepare! Love the ribs and the BBQ sauce. Cooked perfectly. We love the ribs!!!! Wish they were served with Cole Slaw or Potato Salad instead of the side of veggies. An Important Note to Maria from a 7th generation Texan! Without question, MGK makes the BEST ribs and BBQ sauce in Houston!!!!!!!!!!!!! Love them!!!!! My husband actually ate is veggies! This is wonderful! I enjoyed the ease of cooking. We both enjoyed the meal. Meat tender, sauce spicy enough, veggies delicious! What more can one ask for?! Thanks, Maria. So excellent is the home made barbecue sauce over the tender ribs we couldn't believe how wonderful they were. I'm not a big rib girl, but these were really good. My husband loved these, and kept raving! He asks when it is coming up again in the rotation. All you have to do is reheat these which makes everything super quick. Great job, Maria! 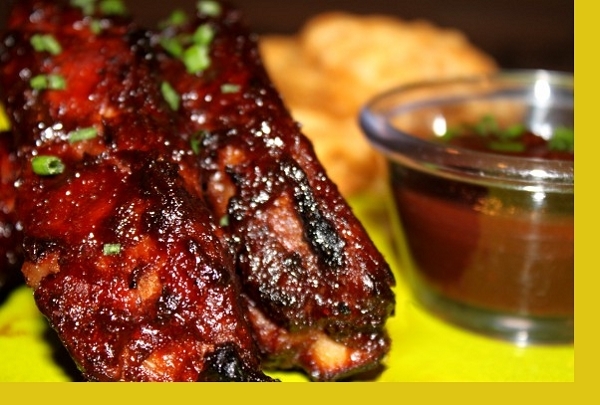 We love Maria's BBQ ribs. The meat is so tender, and the preparation is so easy and quick. Most of all, as always, we just love her freshly prepared sauce. This sauce, is really unique and out of this world. Try it! The ribs were easy to heat and eat. The BBQ sauce was delicious. The ribs and sauce were very tender and tasty, will definitely order again.